APPLICATION For use as Mid-Side to Stereo AB (Left/Right) decoder for headphones. Will handle up to 6 volts at 40 Hz. 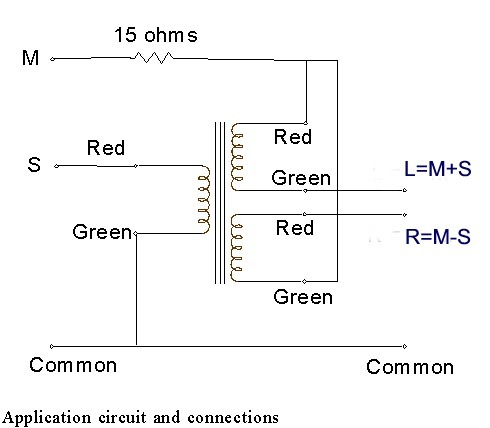 A resistor of 15 ohms should be used as shown to compensate for the winding resistance of the transformer primary. FEATURES High grade low loss grain oriented silicon- iron core for minimal distortion. Three identical trifilar windings for optimum balance and consistency of frequency response. 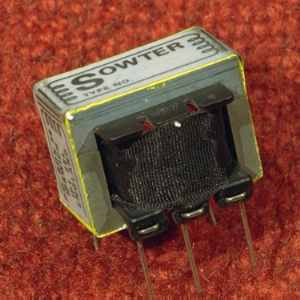 This also ensures excellent high frequency response.